This off-white dining chair with metal legs will instantly update your kitchen or dining room. Its sleek profile measuring 48 cm x 60 cm x 87 cm makes it perfect for smaller spaces. Neutral off-white blends effortlessly with pale wood. Or pair these superb quality-dining chairs with a glass and steel table for a bold modern scheme. The comfortable, supportive seat and back are designed for relaxed and leisurely dining. Modern, easy care fabric with a robust frame and a great price make this a practical choice for casual or more formal settings. 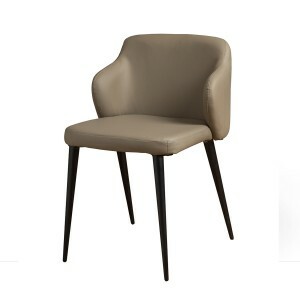 This smart chair is an instant neutral update for dining spaces. The comfortable design means it will earn its keep as a workspace or occasional chair too. 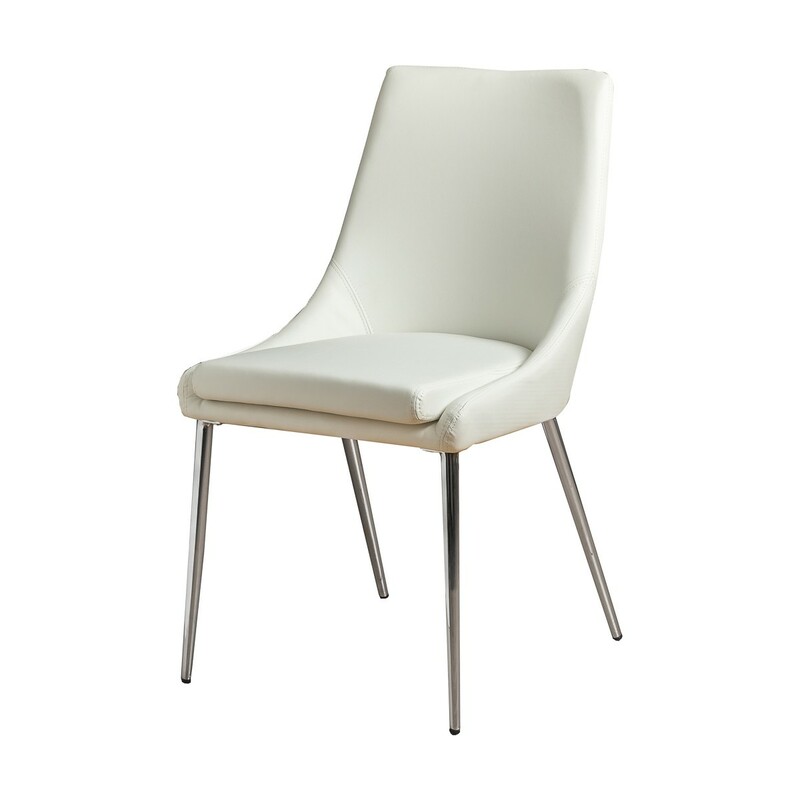 Adding a modern bistro flavour, the off-white dining chair is the perfect partner to glass, steel and chrome. Our carefully-sourced design classic is sold singly, so you can buy one, a pair or more to suit your space.